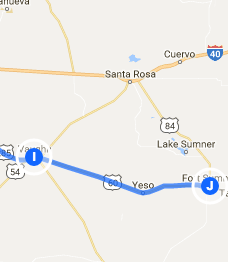 Trip Log – Day 342 – Vaughn NM to Fort Sumner NM | How Will We Live Tomorrow? My agenda to visit all of my siblings and their children on this journey is not merely social. We are a demographically diverse bunch. Pat and Jack Fallon were third generation Irish-American Catholics from the New York area. None of their five children or fourteen grandchildren is Catholic or lives in metropolitan New York. We are scattered over eight states; we all practice a different religion, if any at all. Some of us have advanced degrees; others have not graduated high school. Some own homes; others rent. One has six children; others are committed to having none. Some are veterans, others felons; one is both. We are married or divorced or living together. We are straight and gay. We have natural children and stepchildren and adopted children. We occupy every economic quartile, though none of us is in the top 1%. Our politics run blood red and sky blue. We are the most diverse family I know that still all talk with each other. Because, whatever our differences or opinions, we are family. The most difficult person to meet up with on my journey has been my oldest brother Bill, a long haul truck driver based in Salt Lake City who’s home at most 36 hours a week. Over the past year we near missed in Indiana, Wyoming and Texas. Today we navigated an Apollo worthy linkup. I cycled to Vaughn, New Mexico and took a room at the faded motel next to a 24-hour diner on US 285 that Bill passes four times a week shuttling between Salt Lake City and Laredo, Texas. He gave me a 3:00 a.m. ETA but called at midnight: making good time, only fifteen minutes away. 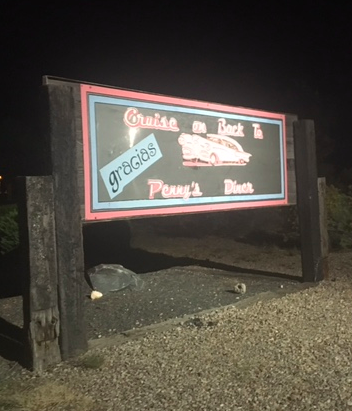 We spent three hours at Penny’s Diner, the only patrons in the o nly bright lights for a hundred miles around. Bill is the most upbeat person I’ve ever met. No matter what travails befall him, and there have been plenty, he always says things are great. He’s also keen about whatever endeavor he’s invested in, whether it’s product sales, international construction, SBA disaster financing, or, these days, trucking. Since I’m fascinated by logistics, I enjoy hearing the intricacies of schedule and the advantages of designated routes, though the sheer volume of trucking and the fossil energy we burn on our highways overwhelms me. Bill’s company runs twelve round trips per week between SLC and Laredo alone simply to deliver parts between Autoliv’s plants in Utah and Mexico. Between shoptalk we catch up on the comings and goings of our children, which are less predictable than Bill’s junkets up and down US 285. When I ask Bill ‘How will we live tomorrow?” he declines to respond. Many people do that; I only ask once. I put down my pen and look out at the deep night sky, so familiar to a man who trucks all hours, so foreign to a guy who cycles all day and hunkers down in the dark. I wonder how two people so genetically linked can be so different. Which makes me ponder the challenge of forging better bonds among the rest of us. We start by seeking out and creating bright spots where our complicated paths intersect, the Mormon trucker and the Yankee cyclist in the middle of the night in the middle of New Mexico. Not too much in common. Except that we’re human. And family. This entry was posted in Bicycle Trip Log and tagged Penny's Diner Vaughn NM, Vaughn NM. Bookmark the permalink. Hit it right on the head once again! Thank you Patrick. Thanks for reading. So glad you were able to meet with your brother. 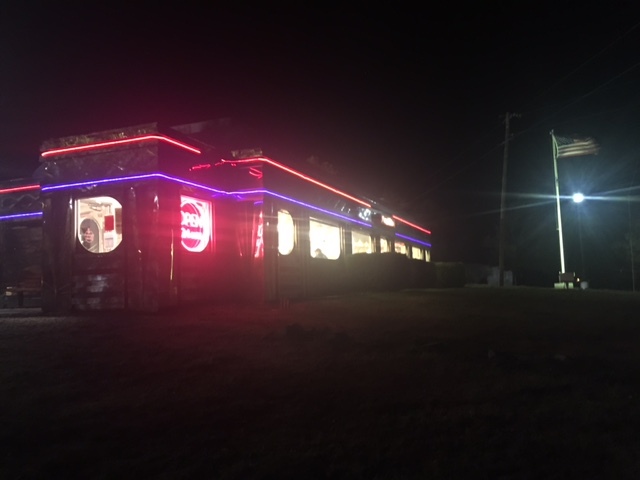 After my recent visit to NM, I also had a nice meal with my brother at a late night diner. We bonded over the meal talking about our families and different lives. Interesting similarities. Be safe on your journey! That’s such a great confluence!